Pink salmon has shiny silvery skin, large black oval spots on the back and tail. After returning to their spawning stream, the color change to pale grey on the back with yellowish-white belly. During their spawning migration, males develop a pronounced humped back, thus they are also called humpies. Adult fish range in size from 14 to 18 inches (36 to 46 cm) in length, average weight is approximately 4 pounds (1.8 kg). Pink salmon harvests are larger in odd numbered years and spawn in 2 year cycles. Hence, they are the smallest and most abundant of the salmon species. Pink salmon are distinguished by their light, rosy pink flesh color and small flake. Cooked pink salmon is very mild, tender and moist, and has a moderate to soft texture. Sockeye salmon are blue tinged with silver in color when they are living in the ocean. Sockeye salmon have no spots on the tail, and they are distinguished by their small black speckles on its deep blue-green back and silver sides. 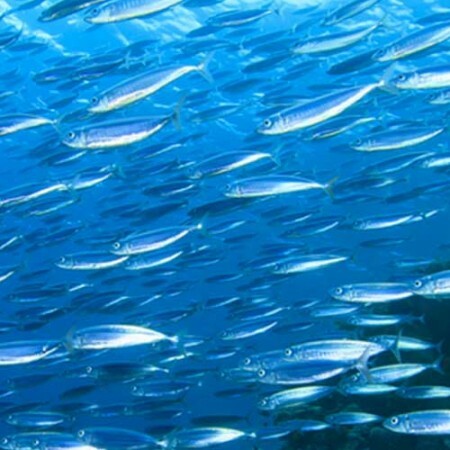 Juveniles remain in freshwater until they are ready to migrate to the ocean. When they return to spawning grounds, their bodies become red and their heads turn green color. Sockeye can be anywhere from 24 to 34 inches (61 to 86 cm) in length and weigh from 5 to 15 pounds (2.3 to 6.8kg). Raw sockeye salmon has a deep red to orange red flesh colour. Cooked sockeye salmon is a richly textured and highly flavourful salmon. Sockeye salmon is very high in oil content, and it is recommended to bake, broil, grill and poach. Chinook salmon, also known as King Salmon, is blue-green, red, or purple on the back and top of the head, with silvery sides and white ventral surfaces. It has black spots on its tail and the upper half of its body. Chinook salmon is the largest and least abundant of the species. Chinook salmon generally spawn from September to December on a 3 to 4 year return cycle, and they spawn in larger and deeper waters than the other species due to their larger average size. Adult fish range in size from 22 to 32 inches (56 to 81 cm), average weight is approximately 20 pounds (9.1 kg). When cooked, the prized Chinook salmon has a very firm texture, high oil content, succulent flesh and rich flavour. Coho salmon have silver sides and dark-blue backs during their ocean phase. During their spawning phase, their jaws and teeth become hooked. After entering fresh water, they develop bright-red sides, bluish-green heads and backs, dark bellies and dark spots on their backs. Coho salmon are second largest of the species. They spawn approximately every 4 years. Adult fish range in size from 22 to 26 inches (56 to 66 cm) in length, average weight is approximately 12 pounds (5.4 kg). Raw Coho salmon has a vibrant reddish-orange flesh colour. Coho salmon has a relatively high oil content, and it is recommended to grill, bake, broil, and poach. Cooked Coho salmon has a very delicate flavour and firm texture. Chum salmon have an ocean coloration of silvery blue green with some indistinct spotting in a darker shade, and a paler belly. Raw chum has a reddish-pink flesh colour. Cooked chum salmon has a very mild and mellow flavour, firm and meaty texture, and light-orange flesh colour. Adult fish range in size from 22 to 26 inches (56 to 66 cm), average weight is approximately 8 pounds (3.6 kg). A chum salmon generally spawns in late fall on a 4 year return cycle. The meat color progressively pales as the fish migrate upstream during spawning season. Other changes that take place during migrating upstream include developing vertical watermarks, aka tiger stripes that can result in purple/red/green skin colouration.